In our last blog, titled “Utility Providers: Are You Ready to Implement a Customer Portal?”, we looked at some of the key motives that indicate a utility provider is ready for the implementation of a customer portal. Now that you’ve decided a customer portal is the right choice for your business, you probably have one question - Do you build it yourself or do you buy it? 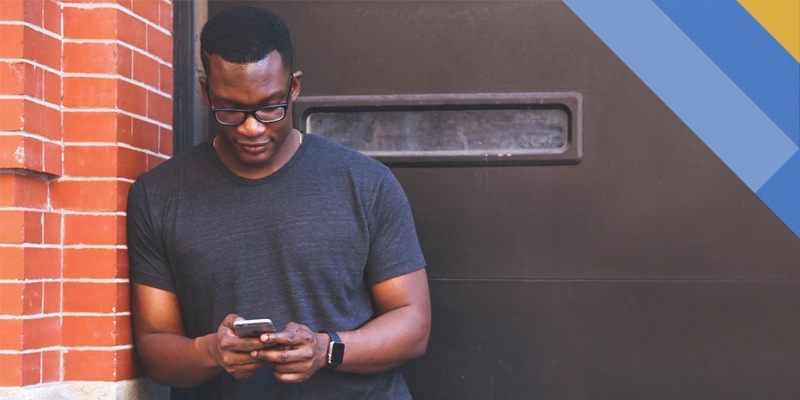 Before we get into ”build vs buy”, let’s first recap some of the benefits of a successful customer portal and how it can completely revolutionize your customer experience (CX). A customer portal gives utility providers the technology needed to reduce wait times, improve customer engagement, lower operating costs and offer a superior experience for your customers. Providing a self-service portal empowers your customers and gives them control over their utilities and customer service. Through a customer portal, customers can access the information they need immediately through their preferred device, whether it be through outage notifications, billing and payment or usage data. In the past, most companies would implement a customer portal by paying an external company to build software that was entirely custom for their businesses needs. However, there has been a shift away from custom-built software and a move towards software companies that provide innovative and proven customer portals that are specifically designed for your industry. What Are the Benefits of a Proven Customer Portal? Proven customer portals are prepackaged software, focused on handling the business processes of a specific industry, while a custom solution is a unique piece of software developed for the specific needs of an individual business. When deciding which one you think your business should invest in, it’s important to consider which one would be most cost-effective for your business, which one has the exact features and functions your business needs and which would offer the largest return on investment (ROI). When creating a business case for any new process or software within your business, the first thought is always cost and how much ROI your company will receive as a result of its implementation. Proven software solutions are significantly less expensive than in-house custom-built solutions. Being less expensive, by no means, translates to less effective. Proven solutions can be perfectly set up for your utility’s needs through customizable features that can be turned on or off depending on your specific needs. Many custom-built customer portals need established skills to build, implement, and manage effectively. Proven software is designed to be extremely accessible and easy to integrate. Due to frequent advances in technology, keeping on top of software maintenance and updates will require a technologically-specialized software team. Proven software solutions that are specifically designed for the utility industry can be easily integrated with your existing systems and can be accessed on any platform. Not only can they be accessed from anywhere and on any device, but they also need minimal technical skills to manage. Proven customer portal solutions are popular because they are reliable, quality products from companies that have expertise in the area they are designing the technology for. These proven solutions come with the backing of the software company’s customer support teams as well as the company’s quality assurance. You will be utilizing the knowledge and expertise of software companies that understand the utility industry when you make an investment in a proven solution. Building proprietary software takes a great deal of time. Businesses that do not have the two to three years available should not pursue build vs buy. Proven customer portal solutions can be implemented in as little as three months. Building your own technology will not help set your utility apart from other utility providers and will not help provide a higher quality of service to your customers. In fact, when it comes to the privacy and the security of information available on a customer portal, your customers would likely feel safer and would engage in using the portal when it comes from a trusted and experienced veteran software company. 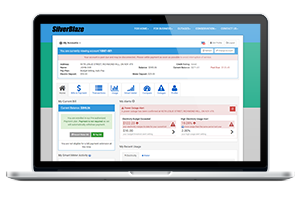 Founded almost 20 years ago, SilverBlaze specializes in providing self-service customer portals and intelligent form software to utility providers in the electric, water, gas, telecom and multi-service industries. Our intuitive and feature-rich customer portal is designed specifically for the utility industry and provides a platform for your company to better connect with your consumers. You will be able to provide your customers with timely information and notifications that answer their issues before they even have them. Want to learn more about our innovative Customer Portal and how it can transform your approach to customer service? Contact us today.